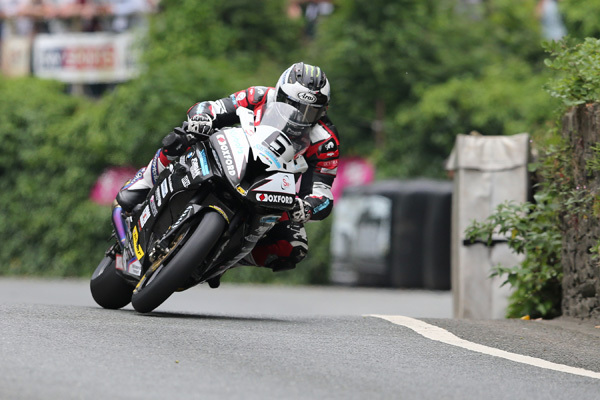 Part of the famous Dunlop motorcycling racing dynasty, Michael Dunlop has established himself as one of the greatest road racers of not only his generation but also of all-time. Despite not yet turning thirty years old, the son of Robert and nephew of Joey is the third most successful rider in the history of the Isle of Man TT with his 18 wins only bettered only by Joey (26) and John McGuinness (23). Records have constantly been broken including becoming the first rider to lap the Mountain Course in less than 17 minutes whilst he’s also had to overcome the loss of his father in 2008, when still a teenager, and more recently brother William. He’s overcome this adversity and is widely regarded as one of the most, if not the most, tenacious competitors in the sport. His determination knows no bounds and whilst his aggressive style and pugnacious attitude has led to confrontation with organisers, race teams and fellow competitors from time to time, there can be no doubt as to just how great a road racer he is. Here are ten of his best career highlights so far. With William already having followed in his father’s footsteps, Michael’s turn to have his first race on the public roads came in 2006 when he entered the Cookstown 100 on a 125cc Honda and 250cc Yamaha. The youngster duly qualified on pole position for the 400cc Support race although a mix-up at the start meant he had to start from the back of the second wave of riders which left him with plenty of work to do. Undeterred, he tore through the pack and it only took him to the end of the second lap to lead the race on corrected time. Smashing the lap record, he was soon leading not only the race but also on the roads and he eventually took the win by a comfortable 22 seconds – a chip off the old block indeed. His day wasn’t over though as he took to the grid for the 125cc race where he’d up against both Robert, having his first race in over 18 months, and brother William who already had a couple of year’s experience on the roads. It was William who took the win from Nigel Moore but Michael tucked in behind his dad to complete a memorable first day of racing on the roads in fourth place. Having commenced his road racing career, it was inevitable that Michael would go to the Isle of Man to sample the Mountain Course – even if dad Robert had somewhat of a love/hate relationship with the circuit – and he did so for the first time at the 2006 Manx Grand Prix. Armed with 125cc and 250cc Hondas, Michael would contest the Newcomers race on his 125cc machine before also contesting the Ultra-Lightweight and Junior races. Later admitting he was riding wild and ‘bouncing off the kerbs’ he was quick nonetheless and promptly romped to victory by over two minutes in the Newcomers C race where he also set the fastest lap on his 125cc Honda at 105.349mph. Such was his pace, his performance would have placed him seventh in the 125cc race at the TT in 2004, the final year it was held at the June event. He then competed in the Junior race, where he was competing on his 250cc Honda against the far more powerful 600cc machines, and although problems on the opening lap kept him way down in 88th, a fastest lap of 112.481mph helped him climb up to 46th and gave a glimpse of the future. This was further proven in the combined 125cc/400cc Ultra-Lightweight race despite being up against far more experienced rivals. The teenager led on the opening lap with a speed of 105.985mph on his 125cc Honda but was forced to retire on the second lap. Nevertheless, the seeds had been sewn around the 37.73-mile circuit. The first three years of Michael’s career had seen him make steady, if not spectacular, progress but that all changed at the 2008 North West 200 albeit in tragic circumstances. Father Robert had returned from serious injury on more than one occasion but from 1997 onwards he was confined to the 125cc category, riding with a specially adapted bike due to his arm never full recovering from the nerve damage sustained. However, in 2008 he decided he was strong enough to race a 250cc machine at the NW200 once more but during the second practice session on Thursday evening, he came off his bike at close to 160mph as he approached Mathers Cross. The bike appeared to have seized and later that night he succumbed to his injuries, eight years after brother Joey passed away after a crash at Estonia. Both Michael and William were in the same practice session but, amazingly, and less than 48 hours after the crash, they decided to take part in the race as a tribute to their dad who had won no less than 15 times around the ‘Triangle’ circuit. Race organisers tried to stop them from racing but although William retired on the warm up lap, Michael took his place on the grid before going onto have a race long battle with Christian Elkin and John McGuinness. His phenomenal, breath-taking ride will forever stay in the memory of all those who witnessed it and the strength and determination he showed have become his trademark characteristics and help make him one of the greatest road racers of all time. The victory, and the circumstances with which it came in, were ultimately what made Michael Dunlop the rider he is today. 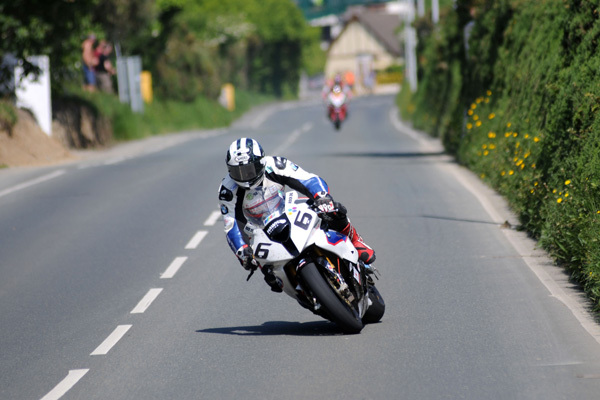 After winning the Manx GP, Dunlop immediately moved up to the TT in 2007 although it was a relatively low key event with just a solitary 25th place to his name. He made a last minute decision to ride in 2008 after the death of his father and despite only arriving on the island on the Thursday of practice week, the results improved vastly. Riding the Phase One Endurance Yamaha, 14th was taken in the Superbike race and after taking eighth and tenth in the two Supersport races, he ended the week in brilliant fashion when he not only took eighth in the Senior race but also lapped at 124.773 mph, which made him the fastest Dunlop around the TT Course. The following year’s TT started in torrid fashion with three successive retirements but when the second Supersport race was delayed by four hours due to rain around the course, the mixed conditions played right into Michael’s hands. 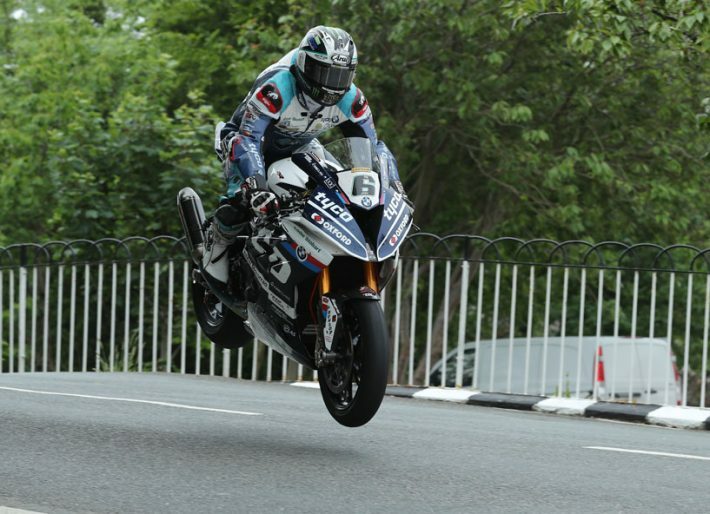 Despite it only being his fourth year around the Mountain Course, and third at the TT, an opening lap of 119.743mph gave him a ten-second lead over Conor Cummins, a lead he was never to relinquish. Between 2009 and 2012, Dunlop took three wins and seven podiums at the TT all in a privateer status but for 2013 he followed in the footsteps of his uncle Joey by joining the official Honda Britain team who were now branded as the Honda TT Legends. With John McGuinness and Michael Rutter also in the team, it was a formidable looking line-up but the youngster (he was still only 24 in 2013) wasn’t to be overawed and, if anything, thrived in the environment. 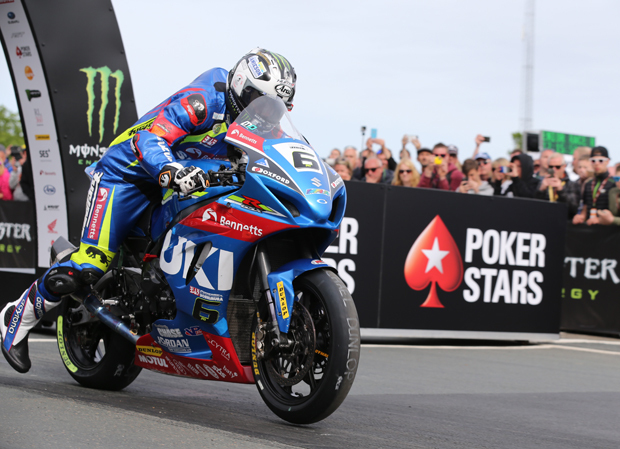 Despite the North West 200 Superbike races being wiped out due to rain, which left Michael short of valuable track and set-up time, it didn’t show at the TT as he romped to victory in the opening Superbike race by over forty seconds from fellow Honda rider Cameron Donald. McGuinness was penalised for speeding in pit lane but even if this hadn’t happened, it wouldn’t have mattered as he was well over a minute adrift at the chequered flag although he did have the consolation of a new outright lap record. Michael took further wins in the two Supersport races and then took a fourth of the week – only the second rider after Phillip McCallen to win four races in a week – with a stunning ride on the Honda in the Superstock race that saw him smash the class lap record with a lap of 131.220mph. It proved Honda’s decision to hire him was a wise one and after a close battle in the Senior with McGuinness, he crossed the line in second, only ten seconds adrift, which saw him win the Joey Dunlop Championship for the first time. Having had such a successful year with Honda, particularly at the TT, everyone expected Dunlop to remain with them for the 2014 season but he stunned the paddock when he moved to BMW who announced they would be returning to the TT with a factory team for the first time since 1939! It marked the 75th anniversary of their only previous solo victory at the TT when Georg Meier won the Senior TT so hiring Dunlop was an all-out attempt to get back onto the top step of the TT podium. BMW had returned in 2010 with their S1000RR but it had only been in the hands of privateers so it was a bit of a gamble by Dunlop to move away from the tried and tested Honda Fireblade to the BMW which had gone well in the hands of riders like Keith Amor but never truly challenged for the Superbike race wins. However, Dunlop had become renowned for making any machine work around the Mountain Course and previous wins on Yamaha, Kawasaki and Honda showed he could adapt. Sure enough, that’s exactly what he did as he again dominated the event with four wins, two of them coming on the BMW. He opened his account with a record-breaking win in the Superbike where he lapped at 131.890mph and ended it with another start to finish victory for the Bavarian manufacturer in the Senior thus emulating the feat achieved by Meier all those years before. Further wins were taken in the Superstock and second Supersport races to make it four in the week for the second successive year and further confirm his dominance. In February 2016, it was announced that Dunlop would again ride the BMW S1000RR in the Superbike class at the International road races during the season ahead, now under the Hawk Racing banner. Wins would be the absolute priority and it was perhaps surprising, given his wins elsewhere, that prior to 2016, he had just one Superbike victory to his name at the North West 200. However, he put that right with a dominant performance in the opening Superbike race that year which not only saw him win the race but also set a new outright lap record of 123.207mph which still stands today. With perfect conditions on the Causeway Coast, it didn’t look that way at the beginning as he found himself back in fifth on the opening lap. He didn’t stay there for long though and lap two saw him begin his charge, moving from fifth to second. Setting a relentless pace, Michael grabbed the lead third time around although it looked like it was still anyone’s race as less than three seconds covered the top seven. Michael had other ideas though and with the aforementioned lap record, he opened up a sizeable lead. Indeed, his advantage over Ian Hutchinson was some five seconds as he started his fifth lap and with Bruce Anstey crashing out shortly afterwards, the race was stopped a lap early and he was duly awarded his fifth NW200 victory. Practice week at the 2016 Isle of Man TT saw good conditions and it immediately became a grudge match between Dunlop and his privately run Hawk team and the factory supported effort of Ian Hutchinson and Tyco/TAS Racing. The duo continually exchanged places at the top of the leaderboard during an intense practice week and the scene was set for some stunning races. However, Dunlop was in no mood for a battle in the opening Superbike race and seized control of the race from the word go. He smashed the outright lap record on the opening lap becoming the first rider to lap the 37.73-mile circuit in under 17 minutes and went quicker still on lap two a lap of 133.393mph. He was never headed with his eventual winning margin over Hutchinson almost twenty seconds. Hutchinson won the Superstock race, when Dunlop retired, and also the two Supersport races, the first seeing Michael disqualified from second place due to a technical infringement. It led to a bitter exchange of words between the pair both before and after the Senior race but the closing encounter saw Michael again dominate, leading from start to finish once more and bettering his absolute lap record from earlier in the week. Aided by his simply stunning lap of 133.962mph, he ran out victor this time by more than half a minute to take his 13th TT victory. Dunlop remained with Hawk Racing for 2017 despite the team switching from BMW to Suzuki and with the GSX-R1000 being an all-new machine for the new season it was very much a gamble by the Ballymoney man. With indifferent results at the North West 200, track time was crucial if he was to challenge at the TT but his cause wasn’t aided by practice week on the island being plagued by poor weather. Indeed, the opening Superbike race was postponed for 24 hours to allow the competitors more practice time and when Sunday dawned, conditions were ideal for racing. It started well for Michael and with an opening lap of 131.135mph he led Dean Harrison albeit by the slender margin of 1.8s. 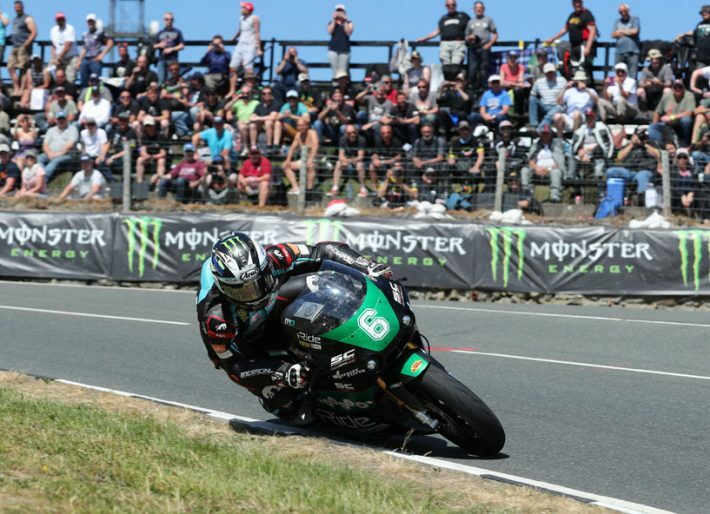 With the speeds slowly increasing as the riders got more and more dialed in, Dunlop continued to lead but not for much longer as he was forced to retire at Handley’s Corner on the second lap. Victory over James Hillier in the opening Supersport race lifted his mood although sixth place in the Superstock race certainly proved the Suzuki wasn’t the ideal machine to be on. Dunlop hasn’t got where he is today though by lying down and he grabbed the Suzuki by the scruff of the neck for the Senior race, which was restarted after rival Hutchinson crashed heavily at the 27th Milestone. In the shortened, four-lap race Michael led immediately and with the fastest lap of the race at 132.903mph he took yet another victory, this time by over thirteen seconds from rising star Peter Hickman. Dunlop was expected to continue with Hawk Racing in 2018 especially as the Suzuki would be more competitive in its second year of development but after testing the bike in Spain in early February, he decided it wasn’t competitive enough and rather than have another year having to ride the bike beyond its capabilities, he left and sought a race-winning package. And at the end of March, it was announced that he would be joining TAS Racing to campaign the factory Tyco BMW in the International Superbike road races. Joining a factory team like Tyco seemed to go against the grain of Dunlop’s philosophy, particularly as he seemingly relished his maverick tag and enjoyed beating them either with his own team or another one with privateer status. However, he realised that if he was to win big bike races in 2018, it was what he needed to do and although the North West 200 was fraught, he won the opening Superbike race at the TT with a fastest lap of 133.513mph. Another win came in the opening Supersport race and then a close second was taken in the Superstock where, despite, lapping at 133.885mph, he had to give second best to the flying Hickman. Handling problems kept him down in fourth in the Senior race but his versatility was further emphasised in the Lightweight race when, riding the Italian Paton, he smashed the lap record with a lap of 122.750mph. It was his first win in the class and it gave him his third win of the week to move on to a career total of 18 TT wins. Now take a look at Dunlop’s closest rival, McGuinness’ most career-defining moments right here!